'The biography of Bishop Francis Kirwan: Pii antistitis icon sive de vita et morte D. Francisci Kirovani Rmi. Alladensis Episcopi' by Dr Tadhg Ó hAnnracháin(UCD). 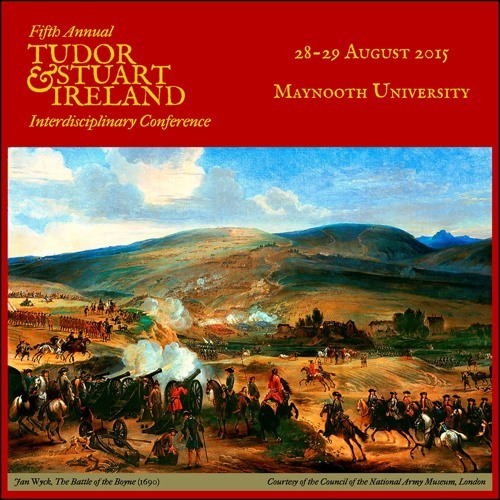 Presentation recorded at the 2015 Tudor and Stuart Ireland Interdisciplinary Conference which took place from August 28-29 2015 in Maynooth University. Podcasting by Real Smart Media. The Catholic hierarchy of the middle of the seventeenth century was one of the most unusual bodies of bishops. In Early Modern Catholic Europe Ireland was unique in partibus infidelium in having a residential episcopate, appointed to the traditional sees. Even more startlingly, this hierarchy in some respects approximated more closely than any other body of bishops to the Tridentine ideal in that its members were universally seminary trained, were appointed to their dioceses with little or no political input and for essentially ecclesiastical reasons, and were overwhelmingly resident. In other respects they were startlingly anomalous in that they enjoyed no revenues and lived under the threat of state persecution. The Irish hierarchy was also at the centre of the split in the Irish church at the end of the 1640s when a minority of the bishops opposed the papal nuncio and endorsed first a truce with Baron Inchiquin and then a peace with the royalist faction in Ireland. Francis Kirwan was a key actor in these events. He is an unusual figure within that often shadowy hierarchy in that his biography, Pii antistitis icon sive de vita et morte D. Francisci Kirovani Rmi. Alladensis Episcopi was compiled by his nephew, John Lynch, after his death. This paper offers a particular reading of this text which seeks to situate it in both its ecclesiastical context, as the life of an exemplar figure of Catholic renewal, while paying attention also to the manner in which it reflects the politics and ethnic tensions of Irish Catholicism in the wake of the calamities of the 1650s. The Tudor and Stuart Ireland conference was generously supported by UCD School of History, UCD Research, Marsh's Library, Graduate Studies Office at Maynooth University, the Department of History at Maynooth University and the Irish Research Council (New Foundations Award).